Advocate Jan Augustyn has been appointed as Director and Head of Regulatory Consulting for iBEST Africa effective from 16 May 2018. Highly regarded as one of Africa’s leading experts in the fields of AML, Jan has an extraordinary career, bringing with him an incredible amount of experience and knowledge. Advocate Jan Augustyn is a member of the Gauteng Society of Advocates and the Institute of Commercial Forensic Practitioners. As a regulatory expert, Advocate Augustyn has several key positions under his belt: Private Secretary of two Ministers of Justice, Investigator and Prosecutor (Senior State Advocate) at the Investigative Directorate: Serious Economic Offences, Manager of Investigations and Prosecutions for the Micro Finance Regulatory Council, Manager: Investigations and Prosecutions for the National Credit Regulator, and responsible for all litigation of the NCR. In both these institutions he established an investigation- and enforcement capacity in-house and on an outsourced basis. As an enforcement specialist at the Financial Intelligence Centre (FIC), Advocate Augustyn was responsible for setting up procedures and policies, implementing an enforcement framework and training internal staff in accordance with these new fundamentals. He also led ground breaking cases, setting precedents for future reference. He was in charge of administrative sanctions and enforcement of the FIC Act. As a specialist, he availed assistance and guidance to supervisory bodies and in-house inspectors. To draw from his expertise, he acted as coordinator and provided training to other institutions regarding money laundering and compliance with the Act. Furthermore, Jan also provided guidance on the interpretation of the FIC Act, dealt with litigation regarding the FIC Act and advised the Financial Intelligence Centre, Supervisory Bodies and the Minister of Finance on litigation, where appropriate. “As we expand our services internationally, it is important to build a strong and relevant team. 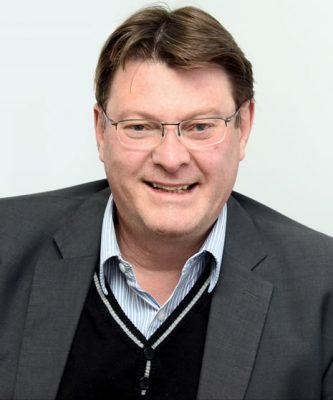 It is not often that you get the opportunity to have amongst the top in the industry joining the ranks and I couldn’t be more pleased,” says Roelof Vermeulen, Managing Director and co-founder of iBEST Africa. Next: More Than An Awards, This Was An Accord.